Happy Friday! I’ve always been a fan of gold, but it’s pretty hard to implement it without looking tacky. 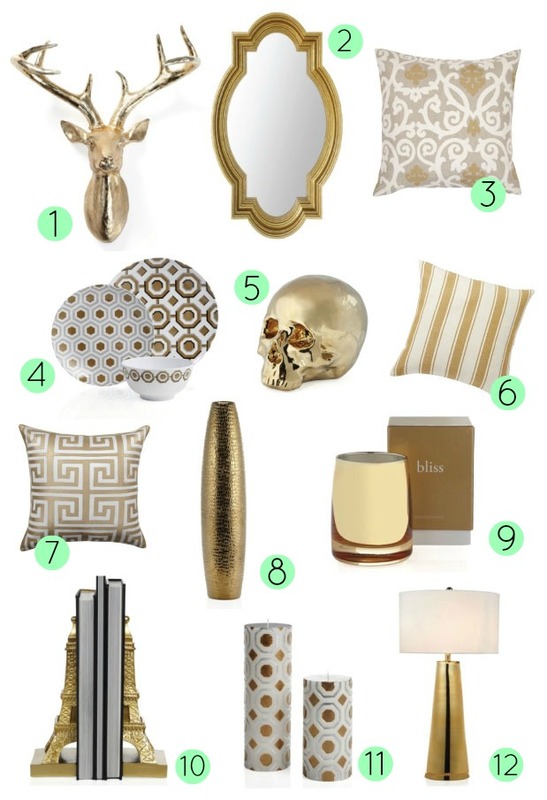 Thanks to Z Gallerie & Pottery Barn, I found some gorgeous items that would stand out and look perfectly pretty! They have the perfect amount of gold detailing to get the effect just right. Definitely pick a couple and make your rooms shine! My fave? The Eiffel Tower bookends, of course.